Every year, on December 12th, between 18-20 million make the pilgrimage to the Basilica de la Virgén de Guadalupe to celebrate her feast or saint’s day, making it Christianity’s most visited sanctuary. Thousands of Mexicans come from their pueblos to Mexico City, many on bicycle, riding through the night for long, dark cold hours. Indigenous people, young and old, make up a significant number of those visiting the hilltop. Many walk or run from their villages, some barefoot, carrying torches and banners to show their devotion and even ascend the stairs on their knees. Small Mexican boys are dressed in peasant clothes and are called Juan Diegitos; mustaches painted on their faces. On their tilmas (a sort of poncho), the image of Guadalupe appears as she did on the cloth of Juan Diego, the humble man who to whom she first appeared, centuries ago. The girls are dressed as la Malinche, one of the most important figures in Mexican history. An Aztec woman who bore a son to Spanish explorer Hernan Cortez (whose discovery of what is now Mexico started the chain of events that ended with the Spanish Conquest); since her son was a mixture of Spanish and Indian blood, she is widely and considered the mother of the “First Mexican”. The traditional costume for the girls is an embroidered blouse and a gathered flowered skirt, with a brightly colored shawl called a rebozo, draped over their shoulders, their hair in long trenzas (braids). The girls carry baskets of flowers. Often, the costume includes pilgrimage essential, even though these children are too young to make the trip. They may be equipped with a costalito (a bag made from sacks from rice or flour), filled with all the necessary items, like water, a petate (a sort of rug made of palm leaves for sleeping) and easy-to-carry food like tamales; everything they might have needed were they actually making a long pilgrimage. 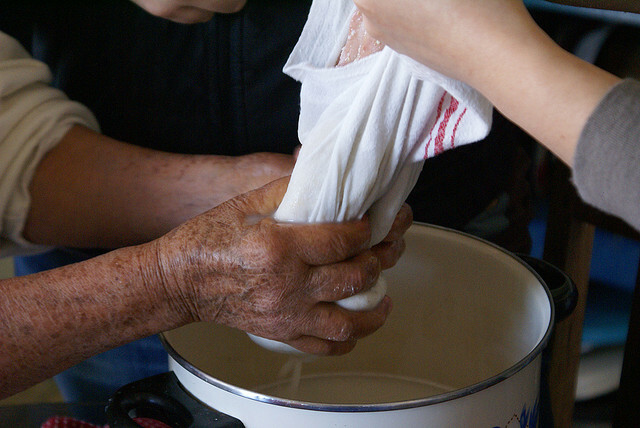 A traditional beverage served on Dia de La Virgencita is atole, a corn-based drink that has been part of the lexicon of Mexican food since Aztec times. 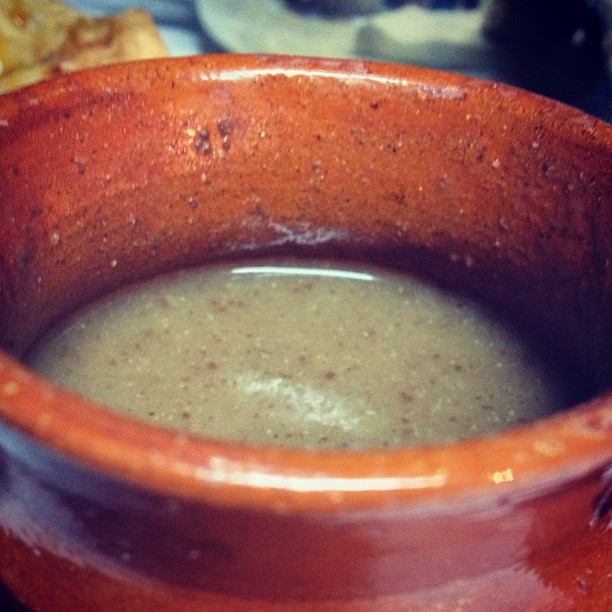 There is evidence of mixing atole with chocolate as far back as the Mayan era. In the Yucatan today, where the strongest Mayan influences remain, they serve a thick, chocolate-flavored atole called tanchcua, to which allspice, honey ad black pepper is added. 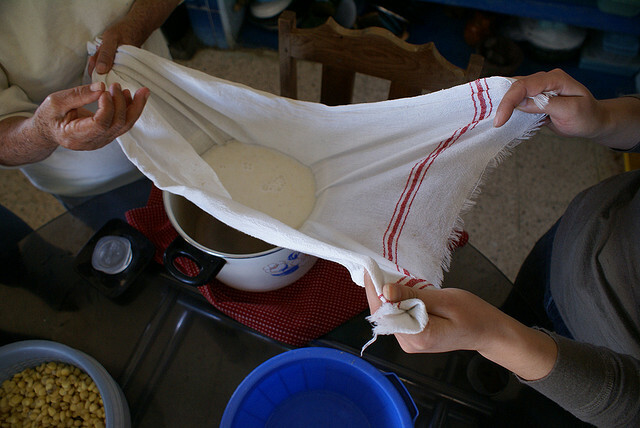 Although the following recipe uses milk, it is common in Mexico to skip the milk and make champurrado with water. 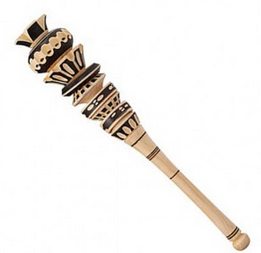 Experiment… there are so many ways to make this! 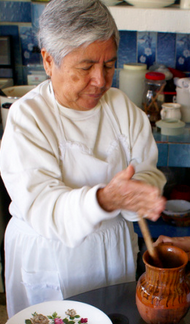 Using a molinillo, a short of Mexican wooden whisk, to mix the ingredients in a traditional clay pot. 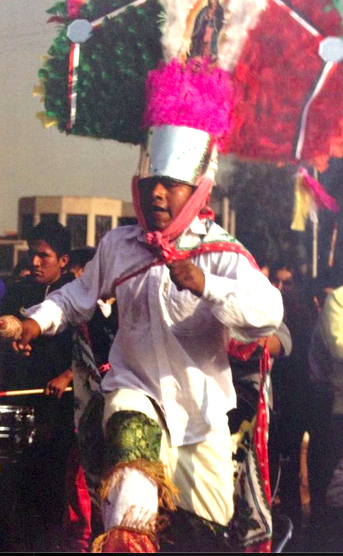 ← At the Mexican Museum this weekend: Mezcal, Mexican food and hand-painted cazuelas!